My "Paleo Challenge" Is Almost Over. Now What? 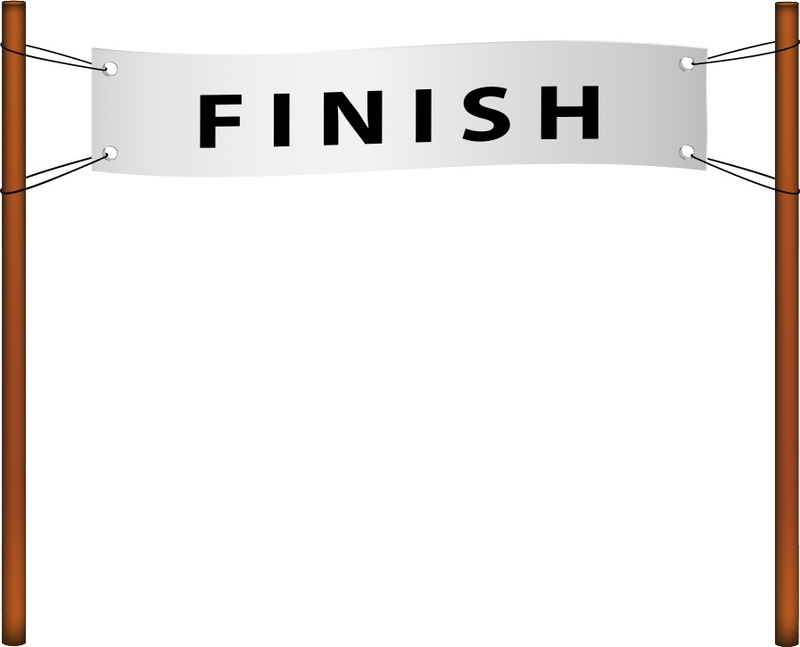 The “finish line” is ahead! Is this the end of the road for you or just the beginning of a long-term journey? But, when the challenge is over, what do you do? Where do you go from here? Maybe you’ll think twice before you revert back to your old habits or before you gorge yourself on pizza, ice cream, beer and Twizzlers. Remember the effort and hard work you put into transforming yourself, reducing inflammation, and increasing your energy. Your on a good path, don’t undo your progress! Why change anything? If you feel good and are happy with the direction you are moving in, then keep it up. If you feel like you’ve made a few positive improvements, but have a ways to go, give yourself more time!! Often people say it takes 60 to 90 days before the switch goes on. 30 days isn’t a long time – and you’ve made it past the most challenging part. 2) Introduce some non-paleo foods back into your diet and see how you feel. If this is your plan, do so in a logical way. Pick one category: grains, legumes OR dairy. If dairy is your first choice for example, continue to eat the same paleo-friendly foods throughout the day but add a serving of dairy to each meal. Maybe you add a quality yogurt to your breakfast, a slice of cheese to your turkey roll-up at lunch and a scoop of ice cream following dinner. Now give yourself a few days before making any other changes. It can take up to 72 hours for symptoms to present themselves. Noticing any changes in how you feel will give you a good indication as to your tolerance for that type of food. Pay attention to: bloating, GI distress or pain, skin clarity, fatigue, energy crashes, disrupted sleep, headaches, congestion, etc. After one food category, choose another and follow the same guidelines. If you go out to eat and order hummus dip as an appetizer and then have pizza with the works, you’ll have no idea what may or may not irritate you. Be methodical. After experimentation, use your results to decide what foods are worth keeping in your meal plan and which are off the list. If you notice decreased energy and bloating with grains, but feel just fine with a little dairy, then maybe you decide the breads and pastas aren’t worth it, but you keep the cream in your coffee. 3) Try a “Zone-Paleo” approach. If you feel good with “paleo” foods, but are looking for improved performance or more insight into macronutrient proportions, this method may be up your alley. A word of warning: it will take more leg-work on your end in the initial stage. It involves weighing and measuring all your foods to get a feel for portions. This can be tricky when you are used to cooking recipes as opposed to eating foods separately. That aside, many people have found great benefit to such an approach. Maybe you really like the paleo-style, but you are ready to tweak things to meet specific needs. You may need to adjust your carbohydrate intake, reduce your fruit consumption, experiment with intermittent fasting, try different pre- and post- workout foods or lay-off the mounds of almonds. 5) You’re on board and ready to encourage the rest of your household. Learn about ways to shop and cook this way for your whole family. Keep it positive and fun. Remember that just because you may be able to “tolerate” a particular food, it doesn’t mean that food is necessarily a “healthy” option. Gather your self-experiment evidence, consider your personal goals and then make an informed decision that works for you. To “Cheat” or Not To “Cheat”?